LEARJET CRASH WITH JENNI RIVERA–TIRED PILOTS? Last Sunday morning’s crash of a Learjet with renowned singer Jenni Rivera aboard recently jumped into the forefront of the news cycle. The aircraft departed Monterrey, Mexico at 3:15 AM en route to Toluca, Mexico. It was reported the aircraft was it 35,000 feet and made a rapid descent to 9,000 feet, during which time air traffic control communication was lost. At 3:30 AM the aircraft slammed into the high terrain South of Monterrey. All seven people aboard were killed, including the two pilots. The Learjet was chartered from a Las Vegas based company. 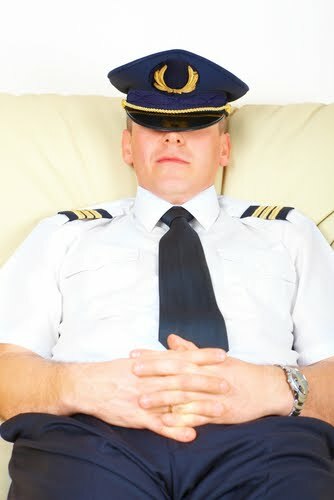 The media have not yet discussed or even mentioned the likelihood of tired pilots in the cockpit. It will be very interesting to read the final NTSB report that will hopefully have a report of the two pilots most recent rest period prior to the flight. Based on my experience of eight years flying chartered Learjets I would be near certain that pilot fatigue played a major role in this accident. The world of on-demand jet charter lends itself to frequent scenarios that result in severely fatigued pilots flying high profile wealthy people. A 3:15 AM departure would require the pilots to have been awake since no later than 1:30 AM. It is likely and almost certain that they were prepared for departure several hours prior to the actual departure. On-demand jet charter is fraught with significant delays. It is not likely that anyone would schedule a flight departure for 3:15 AM. The media has barely scratched the surface of this onerous failure to reduce the pilot fatigue factor in cargo airline aircraft. My book, Dead Tired: Pilot Fatigue- Aviation’s Insidious Killer, elaborates on the subject as it points out the obvious; if allowed, corporate profits will always trump any element of safety that might be implemented. Unbeknownst to most laymen, the power of airline unions has been a significant contributor to aviation safety. A review of aircraft accidents operated by nonunion pilots will validate this. The exemption of cargo pilots from reasonable work rules that result in minimizing pilot fatigue in the cockpit will reveal a continuation of aircraft crashes and incidents that were piloted by very tired pilots. This blog is prepared by Allen Morris, a.k.a. Ace Abbott (pen name), author of The Rogue Aviator: in the back alleys of aviation, (www.therogueaviator.com or http://goo.gl/Y2LhX, and Dead Tired: Pilot Fatigue Aviation’s Insidious Killer (www.deadtiredpilots.com or http://goo.gl/Gzucw. This entry was posted in Uncategorized and tagged ace abbott, air traffic control on-demand charter, aviation safety, cargo airlines, Colgan Air, continental flight 3407, corporate profits, dead tired:pilot fatigue-aviation's insidious killer, FAA, far 121, jenni rivera, las vegas based, Learjet, NTSB, onterrey mexico, The Rogue Aviator, Tired pilots, toluca mexico, unions. Bookmark the permalink.